Lock in a great price for Ackselhaus & Blue Home – rated 9.2 by recent guests! This is an exceptional property. I would recommend it for anybody seeking a convenient, quiet, and tasteful boutique hotel while in Berlin. Truly first class!! The Ackselhaus was a great little place. Our room was unique and very nice. Very comfortable bed, probably the most comfortable of our vacation. Absolutely delightful property in a very good location. 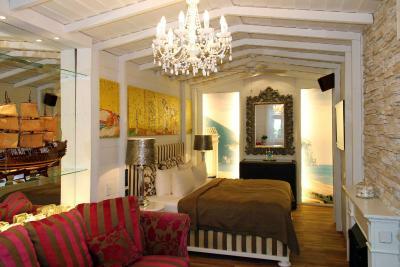 This is a wonderful small boutique hotel with individually appointed rooms that were very nicely furnished and decorated. We stayed in the "Picasso" room and found it charming. The staff were very helpful and friendly - much appreciated. We would definitely recommend for couples for a comfortable and romantic stay. It is a beautiful building with very artistically decorated room. I felt like I was in my own apartment. Very nice breakfast and breakfast room in the morning. Great location - close to tram and 5 minutes away from Alexander platz. Neighborhood is really nice ( plenty of close by cafes) Hotel style is trendy contemporary and with a lot art and natural light. Michelle from reception is extremely helpful and accomadated our ask to do a late check out. Would definitely revisit. A really nice hotel with character. Bath in the room and shower in the bathroom. What a nice twist to watch TV from the bath. The whole apartment was styled with excellent taste. Very welcoming and caring - in a beautiful setting! The spacious rooms were themed, ours Beach our friends Roman. The bed was comfy and extra pillows if needed. We had two TVs showing German channels, dvd , big bath and separate shower room. Fridge and Nespresso machine. The rooms overlooked a secluded courtyard. See pic. The location of hotel was 10 mins walk from main shopping area of Alexander plaize , within easy reach of a wide range of restaurants and clubs. The area was served with excellent transport links and all main sites of interest in Berlin accessible . Would we stay here again? Yes, without a doubt. Ackselhaus & Blue Home This rating is a reflection of how the property compares to the industry standard when it comes to price, facilities and services available. It's based on a self-evaluation by the property. Use this rating to help choose your stay! Located just 2 stops from Alexanderplatz, these individually furnished rooms and apartments are located within a 19th-century building in Berlin’s fashionable Prenzlauer Berg district, offering you a unique experience. The lovingly restored Ackselhaus & Blue Home enjoys a peaceful setting, yet is just a short walk from various cafés, restaurants, bars, and an underground station on the central U2 line. The hotel combines traditional architecture with modern furnishings. Each of the rooms/suites features its own style of décor, and some include a kitchenette. Between your adventures in the capital, relax in the Ackselhaus & Blue Home's Mediterranean-style garden with fountain, or take a seat in the in-house café. The Club Del Mar café offers a tasty breakfast. 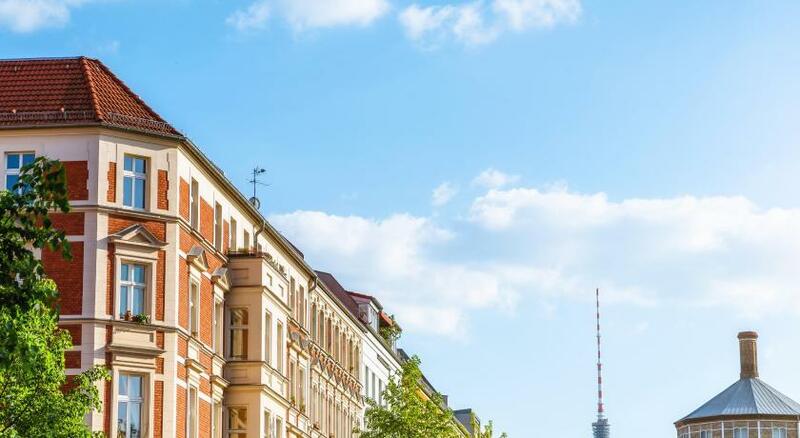 뀐 Located in the top-rated area in Berlin, this property has an excellent location score of 9.2! When would you like to stay at Ackselhaus & Blue Home? Individually furnished room features a sitting area, private bathroom and cable TV. Individually furnished room features a seating area, cable TV and private bathroom. Some rooms also include a bathtub. Area Info – This neighborhood is a great choice for travelers interested in atmosphere, convenient public transportation and culture – Check location Excellent location – show map Guests loved walking around the neighborhood! House Rules Ackselhaus & Blue Home takes special requests – add in the next step! Ackselhaus &amp; Blue Home accepts these cards and reserves the right to temporarily hold an amount prior to arrival. Ackselhaus & Blue Home accepts these cards and reserves the right to temporarily hold an amount prior to arrival. 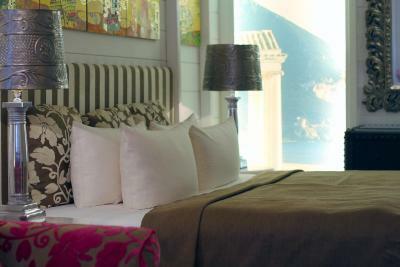 As rooms are individually furnished, Ackselhaus & Blue Home will do its best to accommodate guest preferences. Guests are welcome to specify any preferences in the Special Requests box when booking. The Club Del Mar breakfast café is open Monday to Friday from 07:00 - 11:00 and Saturday and Sunday from 08:00 - 12:30. Just it’s a bit of a hassle arriving after 6pm as the reception closes but I managed to get the keys fine. High standard of cleaning however, felt like the bathroom could be cleaner. the interior decoration of the room was creative, unique en beautiful. 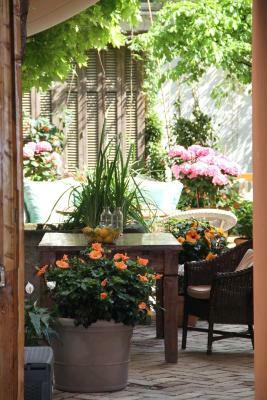 The garden was un unexpected pleasure, so well decorated! No grab bars in the shower. The floors were uneven, which made it pretty uncomfortable for someone who walks with a cane. Also, no visible sign outside the hotel. We thought the driver took us to the wrong location. The only downside was the hotel did not have 24hr reception but you could use sister hotel 2 doors down where we had a great breakfast every morning. A request, not a complaint! Would have been great if there had been fresh squeezed juice available at breakfast. Love this boutique hotel. 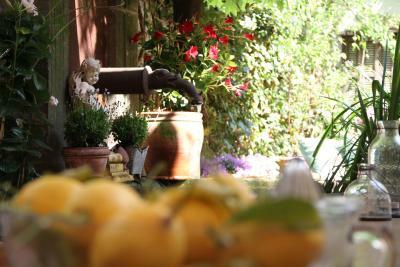 Tasteful and quirky with friendly, charming service and a beautiful garden. Best fruit salad ever at breakfast. I stayed in an African themed room, which was cosy and comfortable to work from all afternoon. It also had an incredible bathtub in its own room, complete with chandelier and with a lovely selection of bubblebaths to choose from ... presented in cut glass decanters. Charming place in the best neighborhood. A gem! Manager ( or perhaps owner?) walks around but doesn’t engage with people staying - I know it’s Berlin but he should learn how to do ‘friendly’ - speak to the guests, hold doors open for them when they have heavy bags etc. it’s lonely traveling alone and would have been nice if he was friendly - other staff were fine. Loved the room which also had a kitchenette in it, girl in the breakfast room was friendly. Breakfast is served on the ground floor in our Club Med bar. It isn't - Club Med is down the road! Very comfortable. The room (11) was beautiful.